On any given day at Misericordia Heart of Mercy Center, more than 600 children and adults with developmental disabilities are busy at work—traversing the 31-acre campus and city of Chicago to get to paying jobs, taking continuing education classes, exercising at the on-campus health and fitness center, creating works of art in the HeART Studio Workshops, singing and dancing in performance groups, and so much more. Its mission—to support individuals with developmental disabilities in maximizing their level of independence and self-determination within an environment that fosters spirituality, dignity, respect and enhancement of quality of life—is a call to action for 1,000 dedicated staff members and tens of thousands of volunteers every year. Its name—which means Heart of Mercy—has become synonymous with excellent care, and it is a model for others worldwide in providing residential options and programs so those with developmental disabilities can live lives that are fulfilled, meaningful, and as independent as possible. 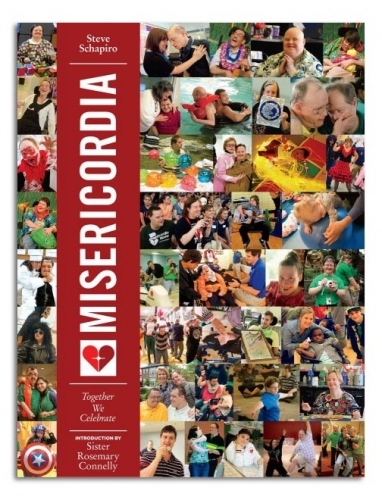 Misericordia is unique from other providers in the field because it provides a full continuum of care and a network of services for individuals from diverse racial, religious, and socioeconomic backgrounds, with disabilities ranging from mild to profound. With hundreds of families on its waiting list, Misericordia continues to grow and expand to meet the evolving needs—and to anticipate the future needs of its residents and the larger community. Founded in 1921 as a maternity hospital, Misericordia has changed over the years to meet unmet needs and has learned to do three things very well—it provides exceptional programs for its residents, gives peace of mind to residents’ families, and shares its mission with supporters across the country.